Diagnosed with multiple sclerosis and colon cancer ten years ago Claire was forced to give up work and all the physical activities she loved so much. 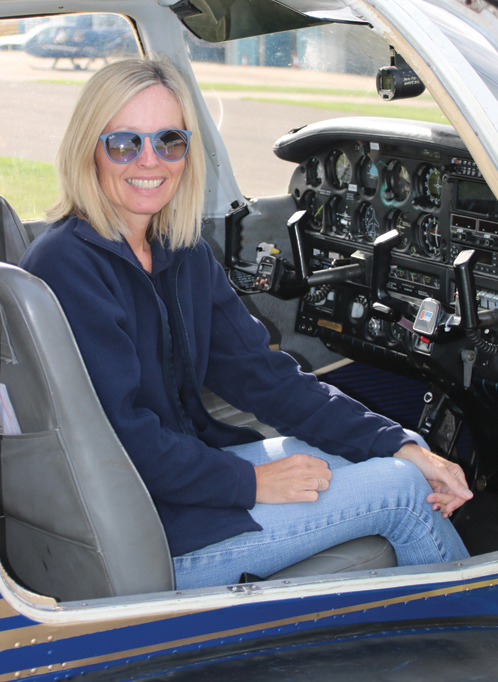 A chance meeting with an FSDP supporter in 2014 prompted her to apply for a scholarship to learn to fly – something she had always wanted to do. Claire had to pull out of the 2015 selection process when her world was shattered by her husband dying unexpectedly. "Before he passed away he told our children that whatever happened I absolutely had to reapply for a scholarship." She did, and after attending this year's selection centre she said " I have never been in an environment where everyone was so kind and understanding of disability and who saw no barrier to achieving whatever you wanted to in life."